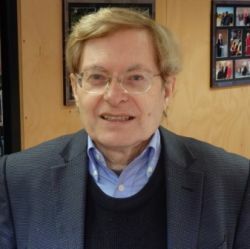 Wayne Hudson is a professor at the University of Queensland, Charles Stuart University and the University of Tasmania, Australia. BRISBANE, Mar 13 2015 (IPS) - Although global citizenship education has now received the recognition it deserves, much of the literature recycles old agendas under another name – ‘education to promote peace and justice’, ‘sustainability’, ‘care for the environment’, ‘multi-faith’ and ‘multi-cultural understanding’ – and so forth. Another literature proposes that children learn specific global knowledge: world history, global ethics, global law etc. In my view these approaches do not grasp the revolution that global citizenship involves. They do not rise to the level of the times and promote an approach to education which is radical enough to bring about the changes which are needed. There is also a problem about the tendency for some advocates of global citizenship education to promote political and social activism under another name. Finally, there is a major problem about the way global citizenship education tends to be presented in Western terms, heavily indebted to the European Enlightenment. I propose an approach to global citizenship education which is much more radical and involves a new conceptuality of pedagogical practice. Clearly I would not argue for a global citizenship education that ignores the achievements of the West or the rich heritage of the European Enlightenment. Equally, however, global citizenship education cannot be education in the Enlightenment ideology of the West. Global citizenship education cannot be simply Western, and it must relate to children living in poor countries and in rural environments, and not only to the children of urban elites. It cannot ignore the substantive claims of Islam. It cannot pretend that Russian Orthodoxy is some sort of private option and that the Russian Federation is a secular nation state. And it must relate to the actual diversities – political, cultural and ethical – found around the world, if it is not to be yet another example of educational utopianism with only limited impact on the ground. Global citizenship education cannot be simply Western, and it must relate to children living in poor countries and in rural environments, and not only to the children of urban elites. Many current forms of global citizenship education do not seem to address their needs. First, it needs to make a post-secular leap and reconcile moderate secularity with a recognition of non-mundane performances in both public and private life. This represents a rejection of American ideology about ‘the public square’ or ‘the public sphere’. It reconnects with real world realities, and involves a model of global citizenship education which takes different spiritual perspectives seriously at the level of religious citizenship, at the level of human rights, and at the level of the role of the state. Pious declarations which simply recite Western Enlightenment mantras about these matters will fail in practice in the Islamic world and Russia. They may not even recommend themselves to Islamic minorities in Western Europe. In the longer term they may not be implemented in practice in much of Asia, including India, Burma and China. To this extent, global citizenship needs to be more global than most writers on global citizenship education currently envisage. It needs to take cultural, religious and civilisational differences much more seriously than is currently the case. What is at issue here is not particularism, or an irrational form of cultural relativism, but an approach that addresses actual heterogeneities and real world contexts and does not rely on Kantian moral philosophy, or on Anglo-American political philosophy. ‘Global’ cannot mean Anglo-Saxon or even European. A global approach must both respect, and to a degree explain, differences, and this implies the need for more powerful concepts than individual traditions traditionally provided. This leads on to the second leap. In my view, global citizenship education also needs to make a leap towards a new conceptuality: one that can encompass historical and historical particularities, while also creating portability across cultures and nation states. This is a strong claim, and one with which educationists around the world are relatively unfamiliar, even though it is possible that nothing less will adequately traverse the world of electronic media, especially social media, or allow an integration of the sciences with the humanities and the fine arts. A new global conceptuality is not on offer in educational institutions at present, and it does not inform most thinking on educational development. This is partly because the type of thinking involved is more commonly found among mathematicians, physicists and philosophers than among professors of education. However, it may not be that difficult to produce and exemplify such a conceptuality in pedagogic practice. Indeed, I think that it will be easier to establish this conceptuality in pedagogic practice than to explicate the new concepts in philosophical or other theoretical terms. Here my position is substantially alternativist and obviously requires considerable exemplification. The approach I commend differs from many dominant strategies in education, which often assume that curricula should implement pre-existing educational concepts and strategies. My approach to global citizenship education implies a very different conception of pedagogy and learning, one which paradoxically has links both with strong cognitivism of a type educationists tend not to favour and with strong pragmatism of a type they favour, but do not always practice. It has particular links with the pragmatism of the American philosopher and mathematician Charles Sanders Peirce, as opposed to the weaker pragmatism of John Dewey, William James or Richard Rorty. My claim is that such an unusual approach to philosophy and practice has benefits for global citizenship education. Pedagogy based on this approach has the advantage of being suited to delivery using new technologies. It is also inexpensive, practical and easy to implement in local communities around the world. Of course, such an innovative approach may be controversial, at least until the foundations for the approach in contemporary philosophy, mathematics and cognitive science are better understood. However, this is the approach I am working on. It is one that I think can make a real contribution to the current debates. Are you saying that you want to use technology to bring a more inclusive, objective, internalized and applied conceptualization of global citizenship to the masses? If, so how is this “radically alternative” from what is already taught?